In honor of its retirement, here is the Freightliner pumping at a Still & Box on October 16, 2008. The fire was at 11415 S Hermosa. I caught it pumping at two other incidents over the past 13 years but those images were not nearly as nice as this one. 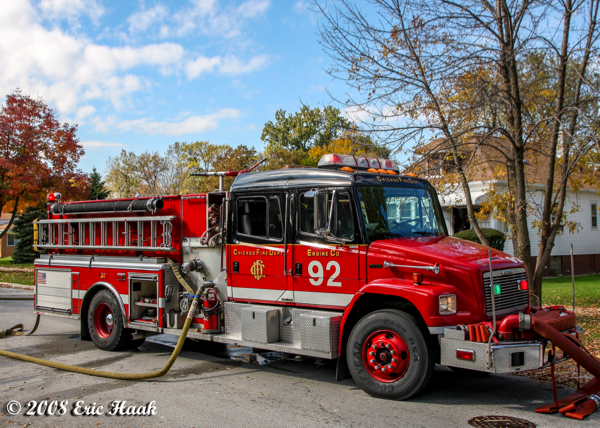 All images and content are ©ChicagoAreaFire.com and are not to be copied or duplicated without our written consent.